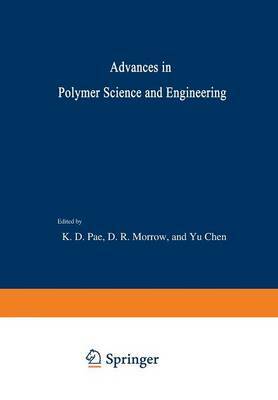 The Proceedings and the Symposium on Polymer Science and Engineering, to be held on October 26 and 27, 1972 at Rutgers University, are in honor of Professor John A. Sauer. October 26, 1972 marks the 60th birthday of Professor Sauer and we feel it is quite appropriate to make note of this event. All of the contrib- uting authors have eagerly submitted their original works as an expression of their esteem and affection for this dedicated man, friend, husband, father, scientist and teacher. This book could have been made extremely voluminous and the Symposium could have gone on for days. However, the achievements of a man such as Jack Sauer do not have to be measured by the number of pages in a book nor the number of speakers at a meeting. A more meaningful measure is the sincerity and devotion with which these few pages were assembled. All of the contributions to these Proceedings are from invited speakers. Numbered among the contrib- utors are some of Jack's ~ personal friends as well as numerous former students who are currently working in the field of polymer science and engineering. It will be apparent to all who know him that those included represent but a small portion of Jack's friends and students. Although a fairly exhaustive search was made before the invitations were sent the number of omissions is both extremely large and unavoidable.